This is the first of many photos that I will be bringing to you over the coming months from my new home in Canberra. 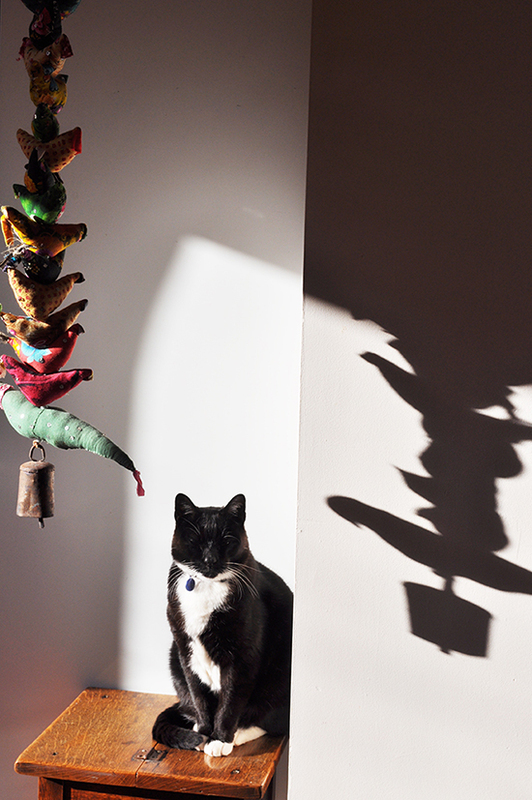 This has been Max's morning routine in winter... sitting in the kitchen soaking up the winter sun behind glass. He's never experienced frost before so he no longer rushes to be out early, he's happy to wait indoors until the sun is up and drenching the back yard. It reminds me of this photo I posted in 2011 of him happy to be indoors as well. The kitchen is a lovely spot to be, especially in the morning when then sun pours through the window that overlooks the backyard.